Take I-5 until you reach Weed, CA. The mountain can be seen along the road from many different perspectives. 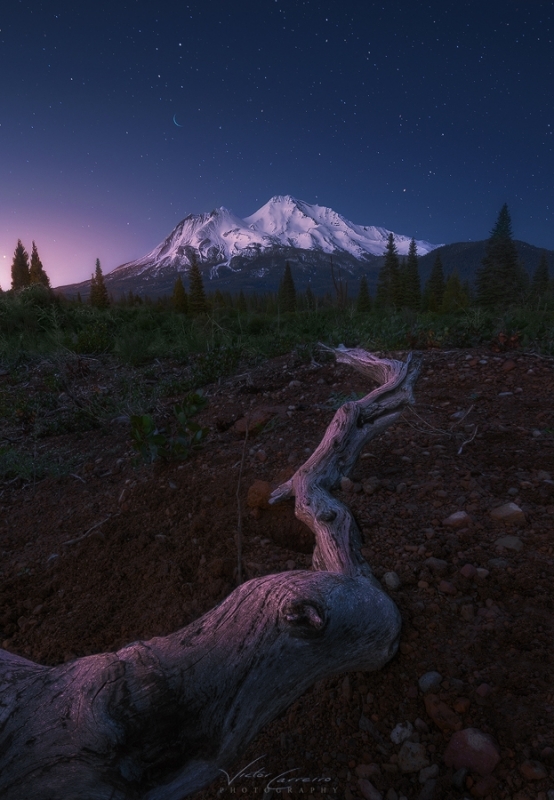 A dead log leads the eye to California's Mount Shasta at twilight.